There’s nothing more charming than a visit to Columbia State Historic Park during the holidays. Over at Nelson’s Candy Kitchen, they’re making fresh candy canes. The decorations are up around town, and we’re ready for some yuletide cheer! 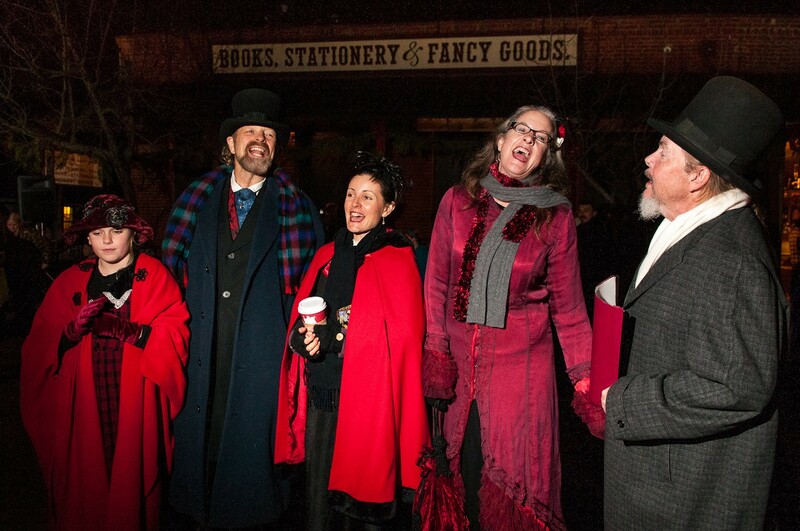 LAMPLIGHT TOURS – December 2 and 3 – Participants will be led by kerosene lantern down the streets of Columbia to visit various vignettes in a walking play. VICTORIAN FEAST – December 9, 11, 15, and 16 – The City Hotel Restaurant hosts Christmas carols, a five course meal and fine wines. A MINER’S CHRISTMAS – December 10, 11, 17 an 18 from 12 to 3 p.m. – Columbia docents will be out in costume and visitors can try roasted chestnuts, create children’s crafts, and catch a glimpse of Father Christmas! ANNUAL EQUESTRIAN PARADE AND TOY DRIVE – December 11 at 11 a.m.
LAS POSADAS NATIVITY PROCESSION – December 11 at 5:30 p.m.
Have you been to any of these events previously? Be sure to comment below with your favorite memories of Christmas in Columbia!